350+ attendees. 31 presentations by thought leaders from industry giants. 12 sponsors. 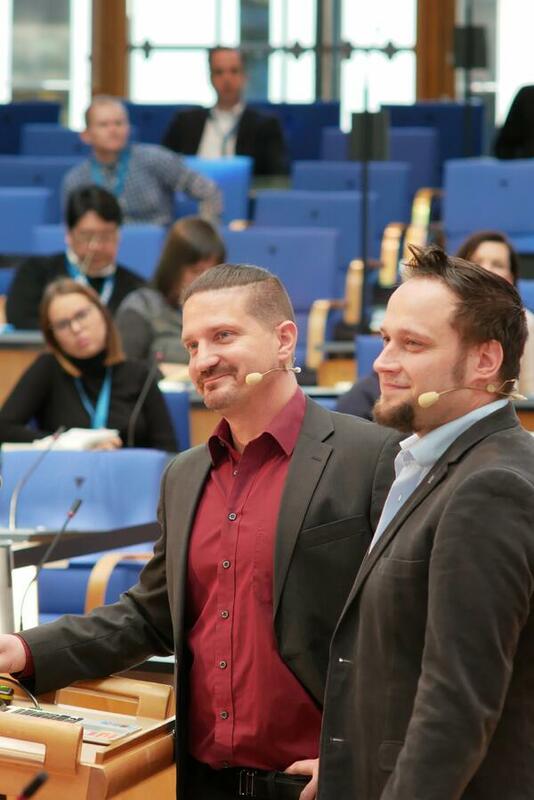 LeanIX’s EA Connect Days 2018 at Bonn’s World Conference Center was a sign of the Enterprise Architecture community’s indisputable importance in today’s corporate world. 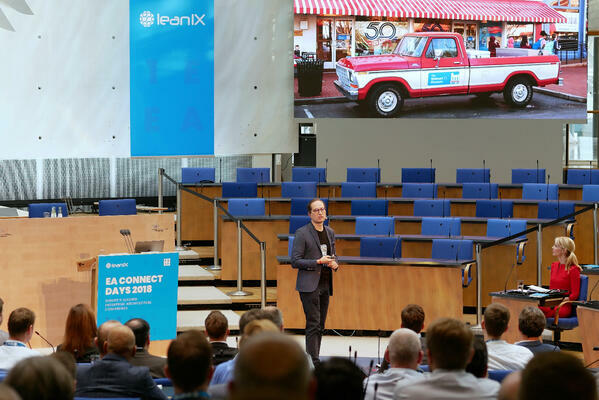 The summit began with an impassioned speech on radical innovation by technologist Peter Hinssen inside the Plenary Chamber—the same room where the German Parliament met from 1992 until 1999. Hinssen, who studies changes in the digital world for a living, gave a stirring call to arms to the Enterprise Architecture community to create the conditions necessary for daring ideas in traditional and agile businesses alike. Entrepreneur and author, Peter Hinssen, at EACD 2018. In his opinion, Enterprise Architecture is not just a discipline capable of correcting myopic customs, it’s a business’s surest way to predict the future. And since he believes change is never going to decelerate, the need for an industry-leading EA mechanism like LeanIX—a “radar to the future”—is more useful than ever. “How does your company look at tomorrow?” he asked to great applause. To answer his question arrived André Christ, CEO and co-founder of LeanIX. Over the past year his company doubled in size to greater serve the needs of the EA world. Christ reminded the audience that LeanIX was created in 2012 to facilitate collaborative decision-making in IT and Business—a versatile tool to host dialogues about technology’s impact and visualize all unknowns in an age of constant disruption. 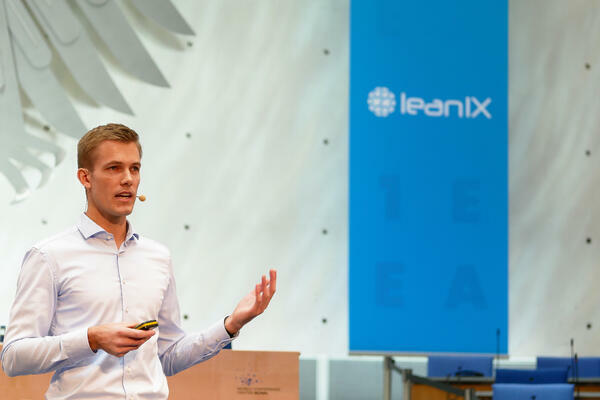 André Christ, CEO and co-founder of LeanIX, at EACD 2018. Available in all editions as of Christ’s announcement, LeanIX users are now able to alter details of their complete application inventories using inline editing functionality. It is an explicit change to the EA Management Tool’s user interface made to give more control to those wishing to define Fact Sheet elements, whether in bulk or individually, at a high-level view. Pull-down to fill-up menus, single- and multi-item selects, copies and pastes—the choice is yours. LeanIX customers are quite creative when it comes to leveraging the tool to solve unique challenges. And with the new LeanIX Store at https://store.leanix.net, all varieties of Reports and Reporting templates plus best practice examples from a global network of power users are ready to be shared in a single marketplace. It is easy to either browse or publish your own reports, and as the marketplace grows, so too will the exchange of information between customer groups. 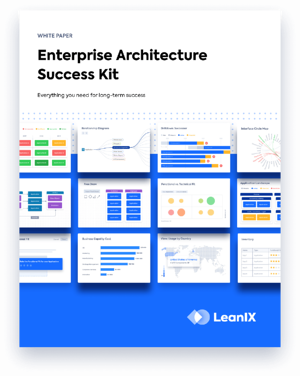 It is LeanIX's wish to package user experiences with EA Use Cases such as Microservices and Cloud Transformation to help the entire EA community profit from shared learnings. Deloitte, Incowia, ITARICON, and itelligence were each announced by Christ as launch partners. All partners are similarly encouraged to create Reports so that their experience becomes visible to the entire EA community. In addition to the currently available Reports, the marketplace will soon offer an exchange of Surveys, Snapshots, and Configurations. LeanIX and Confluence are now integrated to provide even more potential for collaboration for users and their stakeholders. LeanIX Reports plus all Bookmarked Views and Filters can be easily inserted into any Confluence Page with a guided Macro. These Reports can be configured while the Confluence Page is published as if the user was still interacting in LeanIX (e.g., zooming, sorting, etc.). This data is still hosted in LeanIX, and the Reports are always shown live and in real-time. The Integration tackles a common challenge of adopting EA Programs within a company by synchronizing with a tool used already by most companies. Christ announced that this integration will be available in December for Confluence Self-hosted in the Atlassian Store, in all LeanIX editions. Users are to expect additional macros for individual Fact Sheets in addition to the Confluence Cloud in Q1 of 2019. Kati Gholam, an Enterprise Architect and dedicated LeanIX user from European travel giant TUI Group, showed an audience her company’s journey from process-led rigidity to an agile, full solutions architecture using a modern EA Management Tool. In particular, LeanIX allowed Gholam’s trans-European offices to merge cultural perspectives on business capabilities with its co-operative reporting and documentation functionality—a manner she compared to a schoolteacher’s “Red Pen” where good and bad is evaluated, on-the-spot, in clear grades. TUI, according to Gholam, is an international business that couldn’t be strangled by inflexible process-oriented mindsets. It needed to comprehend all manners of business practices to balance the contrasts of a globalized, multi-faceted world—and LeanIX enabled TUI to develop a single repository where stakeholders can hold fact-based arguments under a common language. "Application Harmonization Using Design Principles in LeanIX"
He understands that every company needs reference points—benchmarks like quality standards and baselines of excellence—to decide upon the best technology. Unfortunately, the IT experts at RWE who knew best weren’t speaking their minds. "Visualization of Enterprise Architecture Data"
Transparency, Strategy, Quality, Communication: each is a core element of an agile workforce yet it is all contingent on how well you maintain and visualize Enterprise Architecture data. Dr. Ingo Schrewe, the managing director of Incowia, a firm specializing in IT solutions and data integration, conducted a workshop on how to improve the quality of EA data by boosting communication channels with stakeholders at every operational level. With a room full of participants, Schrewe led an expert session on how to re-think data using superior modeling capabilities. "Lean EAM With the Microservices Add-On and the Signavio Integration"
Hermes’ Solutions Architect Thorsten Düvelmeyer needed his company’s IT portfolio to match its vertical integration strategy. Inside the Plenary Chamber he shared the imperatives of de-coupling monolithic architectures in favour of a microservices architecture. 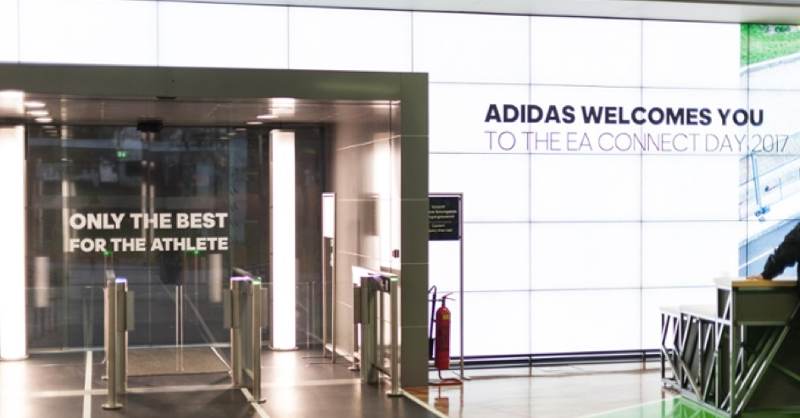 Hermes used a lean approach to EAM to centralize its documentation landscape—“one place where all EA data could be found”—and to chart their target architecture. With a focus on accessible collaboration, documentation, and future roadmaps, Düvelmeyer showed attendees the evolution of its EA procedures from sluggish mechanisms like Microsoft Word and Visio to agile teams employing holistic modeling and a uniform language. "Technology Governance in Zalando's Microservices World"
The success story of Zalando, as told by two of its digital champions, kicked off Day Two of EA Connect Days. One of Europe’s fastest-growing companies, Zalando’s Andreas Pfeiffer (Engineering Lead) and Nicolas Braun (Dedicated Owner IT Compliance & IT Landscape) detailed how their company pushes its architecture to incredible limits to thrive in the tech jungle. Andreas Pfeiffer and Nicolas Braun from Zalando at EACD 2018. LeanIX is used to document and model the Microservices Architecture of Zalando's entire eCommerce store. 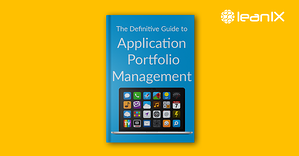 As well, it now functions as a company-wide tech glossary—a dynamic archive for its self-sustaining development teams and their equally inventive approaches to software design. And by inventorying all their services within the Modern EA Management Tool, Pfeiffer and Braun had the data necessary to engineer a custom-built, in-house risk management tool to specifically address GDPR compliance. "Beyond CIO — Will There Be EAM in 2025?" “A CIO must be re-thought of as a Chief Information Orchestrator,” said Ralf Schneider, Managing Partner of Detecon. His presentation, “Beyond CIO: Will there be EAM in 2025?”, posited that today’s CIOs must be outspoken champions of all means of agile innovation—not just stationary gatekeepers of technology—to guide enterprises into the future. Companies must embody adaptability at all structural levels—and LeanIX is a tool made for imposing Big Picture realities on traditional organizations by distributing a CIO’s awareness and responsibilities throughout an enterprise. "ServiceNow Integration (Advanced Level)" and "Signavio Integration (Entry Level)"
Meanwhile, in a nearby room, Christian Richter (LeanIX VP Customer Success), conducted two Hands-On Labs related to popular LeanIX integrations: ServiceNow and Signavio. On the topic of ServiceNow, Richter went in-depth on the benefits of combining dedicated ITSM functionality with the use of an EA Tool like LeanIX. He gave concrete examples of how LeanIX can collaborative help maintain exhaustive records stored in ServiceNow in order to visualize a company’s dependencies in effective ways. Similarly, the power of LeanIX’s built-in integration with Signavio’s web-based Business Process Management Tool was evidenced by Richter in great detail. Its automated synchronization with LeanIX allows full transparency into all updates, and thanks to LeanIX, ownership can be mapped and assigned to all levels of processes. Advised Richter: begin with Signavio, deliver with LeanIX. 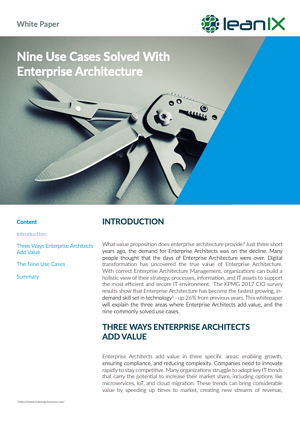 "Enterprise Architecture and Digital Transformation"
Schwarz recognized that software was responsible for every aspect of his company’s business, and with this awareness in mind, he sought an EA approach that best reflected his company’s ever-growing reliance on intangible assets and need to analyze customer preferences. With a LeanIX tool, Vaillant now has a platform to map its Business Capabilities to its shifting IT landscape while comprehensively studying systems data. If ever unsure about what is happening with your product, it is important to consider new ideas and new business models. "Restart EAM @ OSRAM With a Lean Approach"
Cajus Nitsch shared with the Plenary Chamber how he introduced lean Enterprise Architecture Management within multinational lighting manufacture OSRAM’s operations. He was given a specific set of requirements and a short timeframe, but Nitsch selected LeanIX in July 2016 to quickly fix the mess of documentation scattered inside his company—a shortcoming inadvertently discovered during an audit. 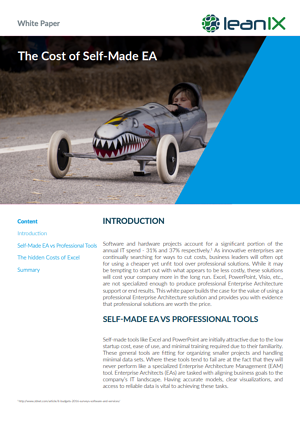 But he wanted more from an EA tool than just sophisticated documentation. Due to his limited capacity, he needed the collaborative potential of LeanIX to rally participation from all corners of the business in order to collectively amass a workable systems inventory. “Everyone is a stakeholder,” believes Nitsch. And on his very first day of deployment with LeanIX, he made sure every application owner at OSRAM understood that they were now contributing to something bigger than just IT record-keeping. A full recap of all EA Connect Days 2018 events will be appearing on the LeanIX Blog throughout the upcoming weeks. Stay subscribed or check regularly!